I can't believe that it is June already - half the year is already gone! May was a month of sunshine, birthday celebrations (not mine) and trying to relax in the half-term. Also, I can't forget to mention that I managed to not miss one single post, let's hope I can continue this streak into June! Yet, looking forward, June will be a hectic month for me with the daunting thought of exams, so keeping on top of blogging will be a tricky one! Now let's focus on my goals for this month. 01. This is the last month before Summer begins, and so, of course, I have to have the classic goal of working out. I typically can only last a 10-minute workout (bit lame), but I want to survive a full body blast without dying. I also, want to keep up with a schedule of working out, rather than doing it when 'I feel like it'. Now, I'm not expecting to achieve the perfect beach body, but I want to be able to see a difference and feel overall more positive! 03. Carrying on from May, I am wanting to continue saving my money, hopefully for a big shopping spree right before Summer holidays! I've got to the point (I think everyone has this) where I look at my wardrobe and nothing excites me - I just end up wearing the same outfit. So, this year I want to save enough money to buy new clothes that not only are staples but also ones which are out of my comfort zone (hint: I really want a straw bag). 04. Lastly, my blogging goal for this month. I want to reach 300 followers on Bloglovin by the start of Summer, which is a wishful goal, but I know that if I put in enough time to promote my blog, I can make it happen! If you're already not an active follower, help me out now by clicking here! What are your exciting new goals for the month of June? After posting my first 'episode' of my favourite podcasts, I discovered so many more (thanks to your recommendations), and so my obsession continues to grow. I have almost become dependant on a good podcast to listen to whilst doing anything - even currently I'm listening to one! This podcast is new to me and new as a whole! 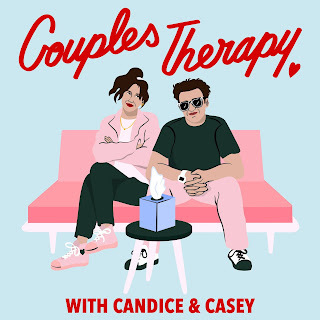 Everyone has probably heard of Casey Neistat who shares his life on YouTube, and so it's no surprise that he has started his very own podcast alongside his wife, Candice. This podcast delves into their personal life, in which they discuss candidly the ups and downs of their marriage (me being nosey, I definitely wanted to hear this), friendship, parenting and their lives in the YouTube spotlight. It is also interesting to hear the view and voice of Candice, which we wouldn't normally hear, and the more personal view of the pair. This is definitely a must listen, even if you're not a Casey Neistat fans. This podcast isn't my usual go-to genre and theme, yet after listening to just one episode I am hooked. Conducted by Emily Dean from The Times, she interviews various comedic friends, whilst well walking the dog! This makes the podcast seem so natural and flows effortlessly, just as though your walking beside. They talk about the weird, the wonderful, the funny and the extraordinary. If you are put off by the aspect of it being a comedy, don't be fooled, as to be honest I enjoy this podcast just as much as any other (I think it's the interview which does it!). Again, another new discovery of mine which I was so excited to give it a listen as it bloody Ferne Cotton!! 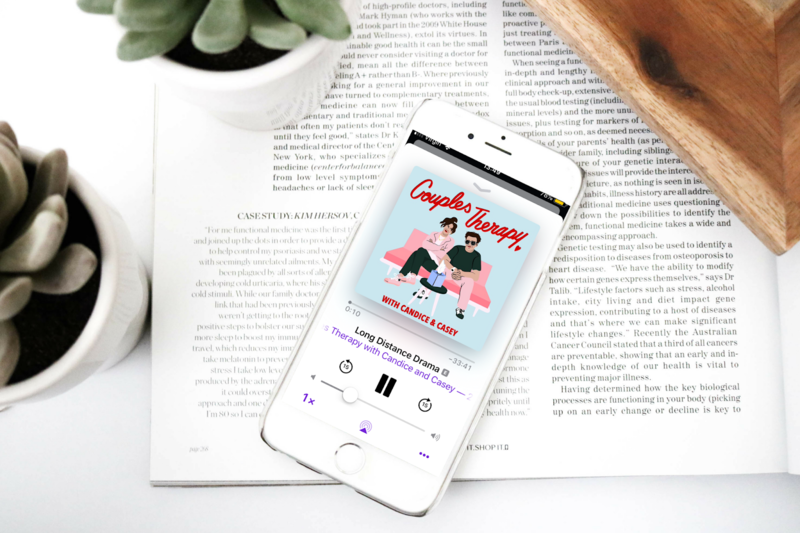 This podcast follows her successful bestseller 'HAPPY', and this is equally as successful by delving into unlocking the inner happiness. 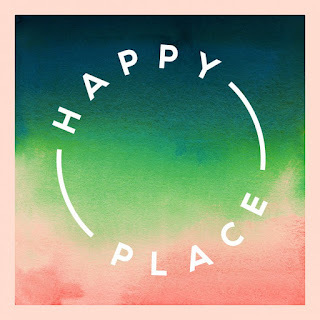 She chats to inspiring individuals who have either made a change in their own life or who help people every day to find a different way of looking at life; revealing what happiness means to them. The conversations are so raw and real, which takes this topic to an extra level on meaningfulness. By far, my favourite episode has been with Stephen Fry (it's an emotional one), with Alexandra Shulman coming a close second! This concludes my second round up of podcasts, to keep you going through this half-term! 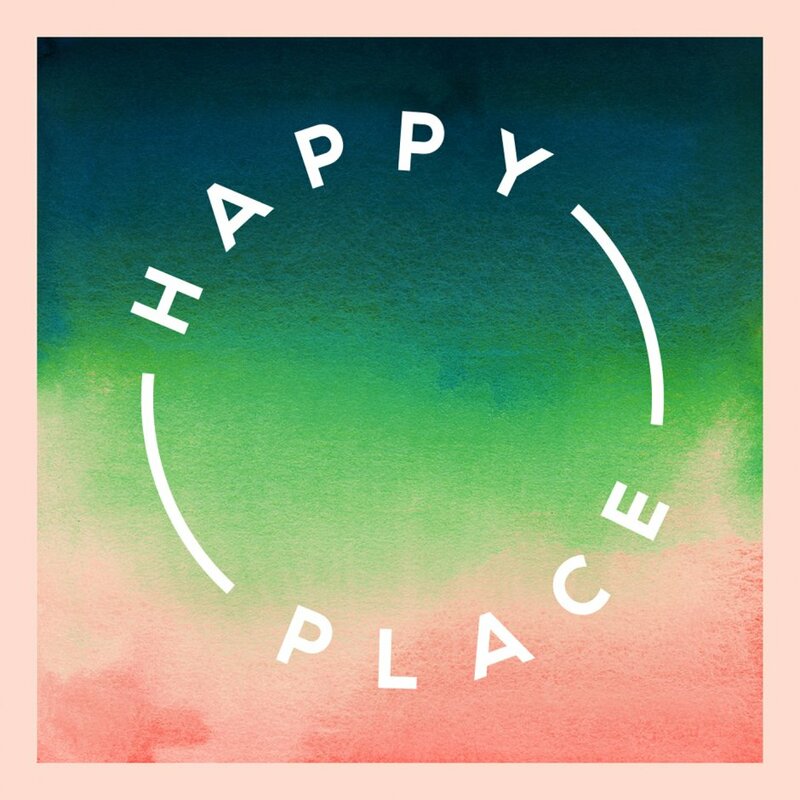 There is a podcast for everyone, plus they are all free and are a great source of entertainment for an evening chill or a getting ready supplement. The choice is yours! What are your current favourite podcasts? Before I schedule my post or hit publish, I make sure to re-read my whole post, to check for grammatical errors, spelling mistakes and any other changes I can make. I usually try to do this a few hours after initially writing the blog post, and even better a few days. When I come back to it, I have a fresh mind, and spot mistakes I previously hadn't. It is also helpful if you have a second person to proofread your work, with a fresh perspective in mind. To prevent simple grammar mistakes, I recommend installing the programme 'Grammarly' onto your computer - it simply highlights any mistakes you have made and how to correct them. When previewing my blog post, I always like to check my photos. I like to make sure they have loaded properly, are the same width as the main chunk of text and are not blurry or grainy. Images are the first feature that people see when landing on your page, so having them correctly aligned gives the post a professional look. I only started doing this recently, and it has become so beneficial to the overall design of my blog. Once my post has officially been published, I immediately promote my post via social media, mainly on twitter. This platform is amazing for getting the initial readers of the new post, and gaining a continual flow of readers and traffic into the blog. I currently use HootSuite, to help me schedule tweets throughout the day - this platform is absolutely free - and is great to tweet old and new posts. I also recommend inserting some hashtags and accounts into each tweet, to increase the audience and readership of each tweet. My favourites include @femalebloggerRT, @BBlogRT and @GRLPOWRCHAT. Using this tip is so helpful to gain traffic and new followers, especially if you have a low initial following on Twitter. I don't think I have mastered the art of Pinterest in gaining traffic, but I always do pin photos from each post to again promote! I always pin to my 'On The Blog' board and then any other relevant boards, including the group blogger boards. Do you take any extra steps before or after hitting publish? As you all probably know, I have recently been getting into a skincare routine that targets and combats my acne prone and oily skin. 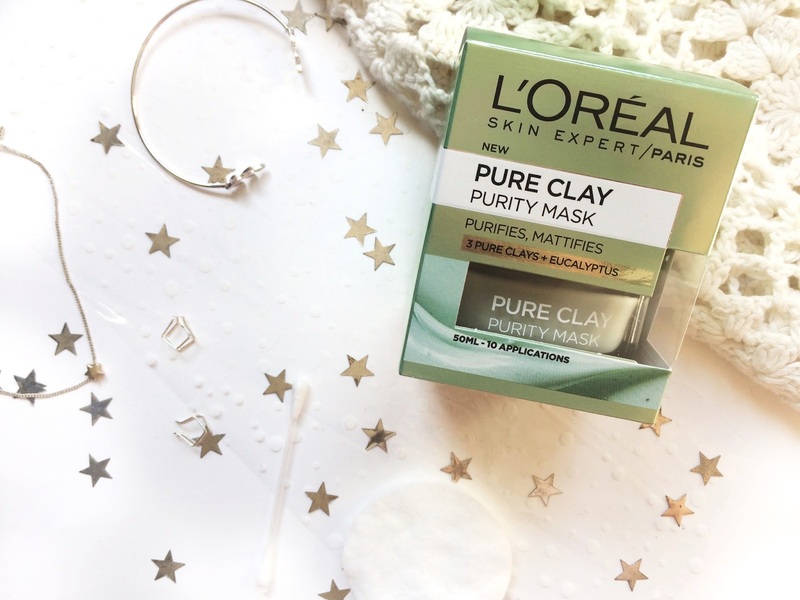 This is when I discovered the new 'Pure Clay' range from L'oréal which offers three masks with three different benefits (detoxifying, mattifying and exfoliating). Out of all three, I decided to choose the Pure Clay Purity Mask. This mask combines all three mineral pure clays (Kaolin, Montmorillonite and Ghassoul), alongside the hero ingredient eucalyptus to help draw out dirt, unclog the pores and reduce any excess, unwanted shine. It has a definite creamy texture which applies effortlessly onto the skin, giving an instant cooling effect. Once applied, it only takes around 10 minutes for it to fully dry, and you can definitely feel it soaking up the excess oil, to the point where you can't even move your face! For removing the clay mask, it does need some hard work. I recommend using a muslin cloth whilst gently removing the mask in circular motions, which also helps to exfoliate my skin at the same time. Just to note: this product is quite heavily scented, yet I personally love it as I find it quite soothing and calming. 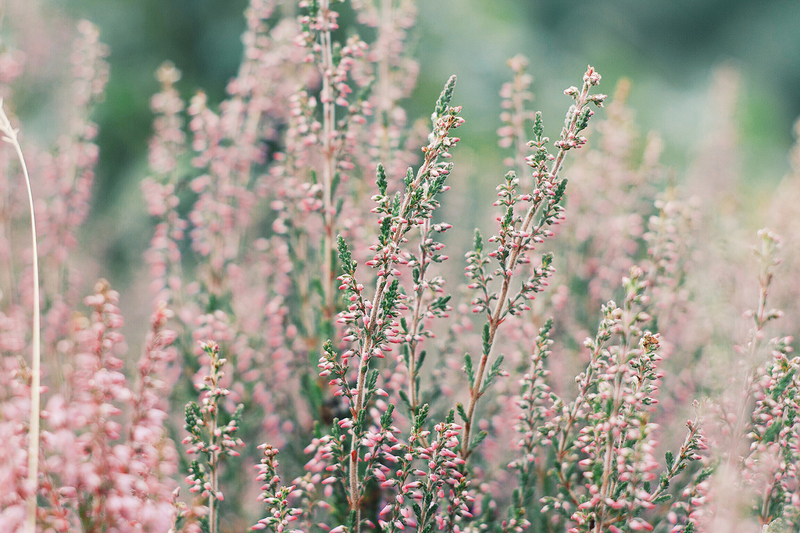 But if you are sensitive to strong fragrances then maybe this product is not for you. In regards to the size, you get 50ml of product, which equates to roughly 10 applications. Yet, depending on how much you use and where you use it, I think that you can definitely get more for your money (even though this product is already cheap!) For reference, I have used this mask around 4 times and have barely dipped into the jar! After using this mask multiple times, I have definitely seen an overall difference in my skin texture and complexion. Straight after use, my skin feels super soft, which gives it the perfect base for any makeup application. 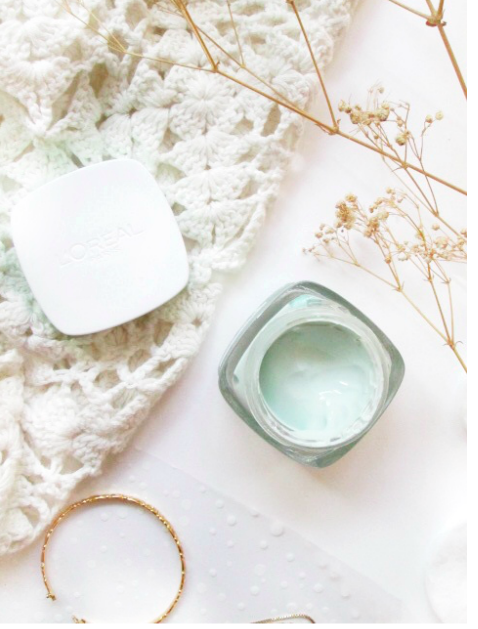 The next day my skin is glowing and radiant, and on top of that, it smells amazing! So, whenever I see a breakout forming, I instantly gravitate towards this product and can be guaranteed it will reduce the overall size of the spot and redness. I use this mask around 2-3 times a week, depending on if my skin needs the boost and a pick me up. As this product is targeted for an equivalent of an at-home facial, there is no wonder that this product has so many benefits. 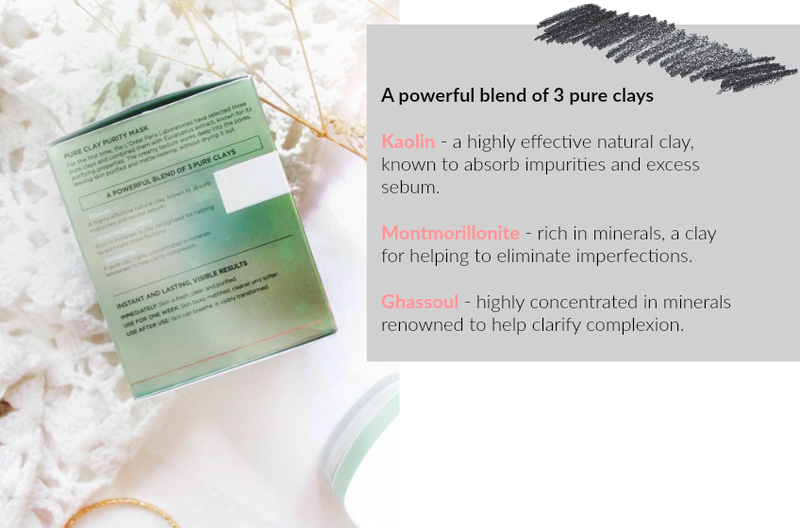 If you are willing to buy all three masks (detoxifying & brightening charcoal mask and exfoliating and smoothing red algae mask), you can create your own multitasking facial routine - the concept is all about using different masks for different parts of your face and treating the skin where it needs it. For me, my skin only needs the one! I would definitely repurchase this product, and for only £7.99, it is definitely worth the money! This product has been a life saver for my skin, reducing spots and creating an even and smooth complexion. Immediately my skin feels fresh, clean and purified - it works wonders! This face mask is going to be a staple in my skincare, becoming one of the holy grail products. I cannot wait to try out the other masks in the range, and see what other clay face masks there are. What is your favourite clay mask? When it comes to being a new blogger, it can be hard to get your name out there, and equally as hard to get your first initial view or follower. This can be so frustrating, especially when writing just one blog post takes time and effort. Despite this, there are multiple easy and simple ways to increase your blog traffic instantly. One of the biggest tips for increasing blog traffic is definitely the wording of your titles. People are always looking for solutions, tips and answers daily, so by creating titles that bring this solution (e.g. 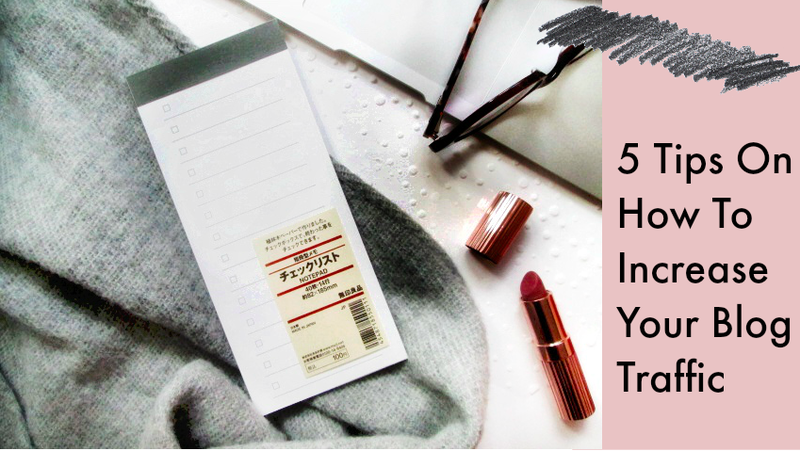 'Top 5 Tips to Become a Morning Person' or 'How I Cleared My Skin') will instantly bring the traffic. For me, social media is my main driving force for blog traffic, and so if you're not using it, you're missing out. Social media gives you multiple platforms (Twitter, Instagram and Pinterest are my main platforms) to get your name out there, alongside updating your followers on new content. Interacting with other bloggers and your own followers gives them a reason to return the favour and hopefully become regular readers! So get involved in the wider blogging community through daily blog chats, follow and comment trains and begin promoting your content! I have discovered so many blogs which have messy sidebars, no information about them, random pop-ups and an overall cluttered design. Do I re-visit their blog? No, and I'm pretty sure you wouldn't either. 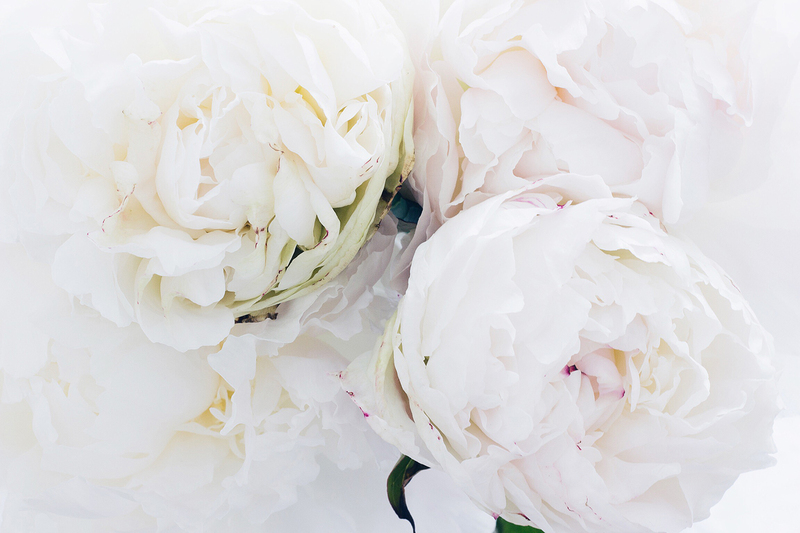 So, my tip is to create a design that keeps in theme and branding of your blog, which is cohesive and user-friendly. Therefore, you can ensure that readers will come back for more! There are other aspects of blog design that are a must; including a simple sidebar, categories, about, contact and follow information and much more. I struggle with this tip, and I know it's hard to keep up when you're busy working or in full-time education, but posting frequently and on a regular schedule will definitely help to increase the traffic to your blog. Remember, you do not have to post daily (I don't) and there are many successful bloggers who showcase this. Yet, readers want to know when to refresh your blog! I post twice a week on Mondays and Fridays, which gives me time on the weekend and during the week to schedule multiple blog posts in advance. I would recommend having at least a weeks worth of posts pre-written, which can be achieved by taking photos in bulk. The posts which drive the most traffic for me are ones which are helpful for my readers, usually by sharing my tips and tricks (like this blog post!). This type of content is perfect for sharing on Pinterest and I've found that I get more engagement and interaction from these posts. Linked to this tip, is the idea of the catchy titles. What do you do to increase blog traffic?